All day, every day- the main menu is served between 12noon and 9pm. The Plough is a beautifully appointed roadside inn with a big emphasis on food. We have a large restaurant where we accept booking all day, as well as a bar area where dogs are allowed. We also keep some tables in the bar free from reservations- perfect for impromptu food! We were a party of 7 who had booked the table 2 weeks in  advance as it was a special occasion. We live locally and chose The Plough as we have been in the past and the food is of a very good standard and it is lovely pub. However, we were very disappointed with our visit this time. When ordering, we were told those ordering steak (4 people) could not have chunky chips as they were saving them for the dishes which were sold as coming with chips (e.g. fish and chips, pie and chips) and could have fries instead. We were all disappointed with this as half of the pleasure of having steak is enjoying the chunky chips it comes with! We reasoned with the staff and managed to get one portion of chunky chips and the rest fries. In addition to this issue, the service was quite slow and we had to ask for a few things e.g. steak knives, soup spoon, side dishes that we’d ordered. We would have been more understanding had it have been busy but it wasn’t at all. We did manage to get a good amount off the bill however but that is beside the point. It would have been a lot cheaper for the pub if they’d just allowed us to have chunky chips! All in all we left rather underwhelmed with what should have been a lovely family meal. We would not recommend The Plough and will not be returning any time soon. Excellent! Beautiful place! Attentive friendly staff and super food! Burger slightly over cooked. All other food excellent. Brilliant to have gluten free without a big fuss. Fantastic service and we will be back. Thank you. The food was fine, but lacked inspiration. A lovely meal. Thank you. Always lovely. Looking forward to our next visit. Hi - great meal and atmosphere and googd selection of wines etc. Service was a little slow but know you had new staff etc - waiting time for plates to be cleared and dessert menu to be brought was slow so we drank up by the time it came - dont worry though we will be back - lovely place and highly recommend thank you! Great meals had by all. Friendly service and pleasant ambiance. Fantastic venue, lovely staff, and nice to see gluten free choices clearly stated on the menu, with a wide variety of choice, and when the food came it was delicious. Service was slow and a bit impersonal. We waited 45 minutes for our food. The table we were given was too large for three people and the music being played above the table was too loud, inappropriate and unnecessary. Not what we wete hoping for. Lovely place, tasty food. Would definitely recommend. Really nice evening, good food and service, and pleasant atmosphere - will be back again. Very impressed, cosy , inviting atmosphere. Recommended by a friend. The wife and I would only eat at 17 restaurant, Milnthorpe but as the Chef/ part owner has left the plough is now our favourite eating establishment. Big thanks to all the staff for the experience. Great service and a relaxed environment! 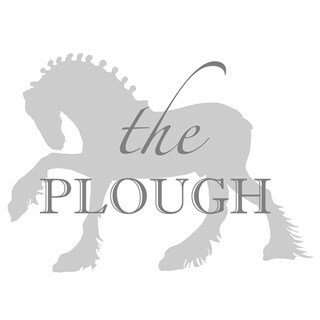 We really enjoyed our Sunday lunch - first time at the Plough. We would certainly come back, we were very impressed! The meat was so tender, and the vegetables really varied and interesting. Yorkshire puddings were exceptional, and the gravy was good. Pudding (caramalized rice pudding) was amazing, but, based on how much I'd already eaten, too much to finish. Food and service were first class...would definitely eat here again. Excellent we couldn't fault anything. Lovely friendly staff and great food!! My only comment would be it was a little warm but just personal preference! !